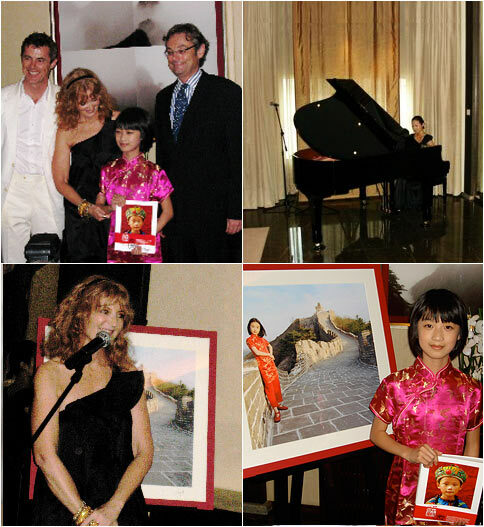 Luca and Alethea launched the book at the Peninsula Beijing Hotel in the Presidential Suite. The event was hosted 2 nights before the Beijing Olympics by the General Manager Mr. Donald Harrington and we were very honoured to have the Australian Ambassador to the Republic of China Dr. Geoff Raby speak. All the photographs were framed and shown in an exhibition in the suite on the night. The event was a great success. This exhibition was held in the Peninsula Beijing Hotel, in the Jing Restaurant for several weeks. Before continuing on at the Northface flagship store in Beijing for four months. All money raised from all of the photographs sold during the exhibitions in Beijing went to help the very underprivileged children in a 2 local orphanages in Beijing Bethal Foster Home and Living Tree Foster Home.